Adobe Photoshop is always the first choice of photographers. However, Photoshop is not available on Android, and the apps that you see on Google Play Store doesn’t even cover the 10% of photo editing. Therefore, we have decided to list some of the best photoshop alternatives for Android which you can use today. Well, if we look around, we will find that smartphones nowadays comes up with a better camera and specifications. In fact, smartphones camera can now well compete with DSLRs. But, still, the high-end camera performance of your smartphone is still incomplete without a proper photo editing app. On a computer, we got plenty of choices when it comes to photo editing. We have also shared some of the best photoshop alternatives for Windows. But, on Android, there are very fewer choices available. It’s no doubt that Android’s Google Play Store houses tons of apps when it comes to photo editing. However, applying Filters on the photo is not what we call editing. Photo editing is not an easy task, and any experienced photographer will agree to this fact. Talking about photo editing tools, Adobe Photoshop seems to be the first choice of photographers. However, Photoshop is not available on Android, and the apps that you see on Google Play Store doesn’t even cover the 10% of photo editing. 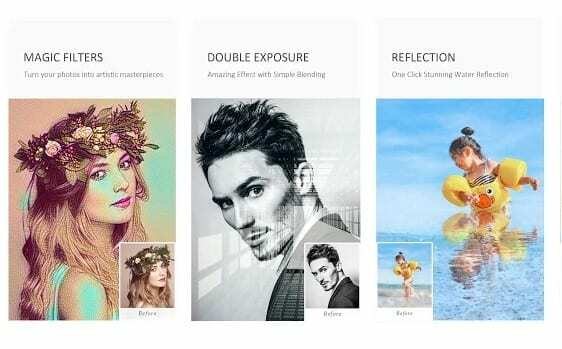 So, for those who want to take photo editing seriously, we have listed 10 of the best Adobe Photoshop alternative for Android. 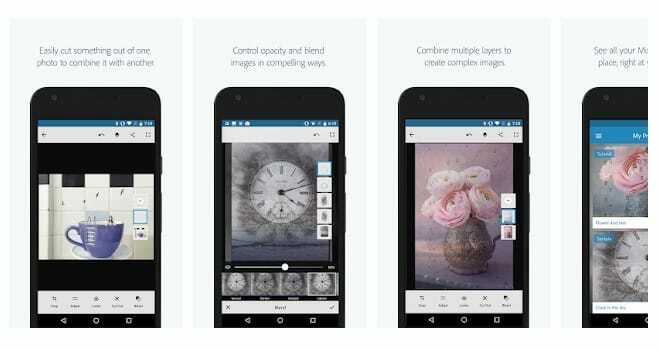 Snapseed is one of the top-rated photo editing app available on the Google Play Store. The app is pretty much similar to Adobe Photoshop for computer, and it arrives with a pleasant interface. Talking about the features, the app offers almost every photo editing tool that could give your images a new touch. The app is completely free to download, and it also brings in tons of filters. Other features of the app include a healing tool, structure, exposure, masking, brush, etc. So, Snapseed is one of the best photoshop alternatives for Android that you can use today. Well, if you are looking for an advanced yet simple to use photo editing app for Android, then you need to pick Pixlr. Pixlr is by far the best photo editing tool available on the Google Play Store which is now used by millions of users. The app offers a wide range of features including effects, overlays, etc. Just like Photoshop, Pixlr also offers layer editing and merging features. The app is free to download and its one of the best photoshop alternative for Android that you can use today. 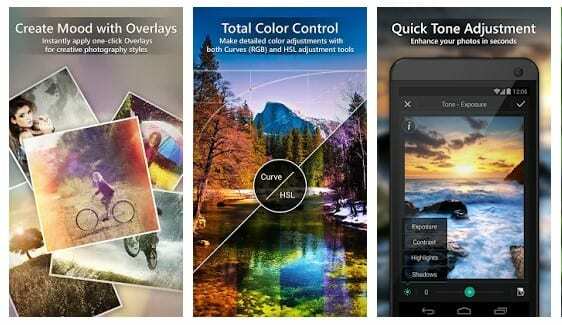 ToolWiz is another best photoshop alternative for Android which you can use today. The great thing about Toolwiz photos is that it packs almost every photo editing features that a photographer needs. You won’t believe that the ToolWiz Photos brings in more than 200 photo editing tools which can give your images a new touch. So, without any doubt, ToolWiz Photos is one of the best photoshop alternatives for Android that you can use today. Multi Layer – Photo Editor is not a very popular app, but it offers users plenty of useful photo editing tool. In fact, it’s one of the best alternatives to Adobe Photoshop for Android that you can use right now. The app provides users a full-fledged photo editor that makes photo editing simple and full of fun. Just like Photoshop, Multi Layer – Photo Editor also allows users to compose pictures in multiplayer layers. Well, if you are looking for a popular photo editing tool that offers tons of unique photo editing features, then PicsArt Photo Studio might be an excellent choice for you. The great thing about PicsArt Photo Studio is that it allows users to adjust color balance, apply filters, apply brush effects, retouch photos. Apart from that, PicsArt Photo Studio is also used to create photo collage, clipart, etc. Well, if you use Photoshop on a computer just for beauty editing, then AirBrush might be the best alternative app for Android. However, AirBrush is not recommended for advanced photo editing stuff. With AirBrush, you get some unique beauty editing features that are usually not found on other apps of similar category. So, AirBrush is another best photoshop alternative for Android 2019 that you can consider. 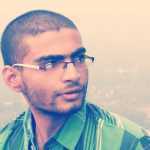 Well, Fotor Photo Editor is one of the best and popular photo editing app available on the Google Play Store. 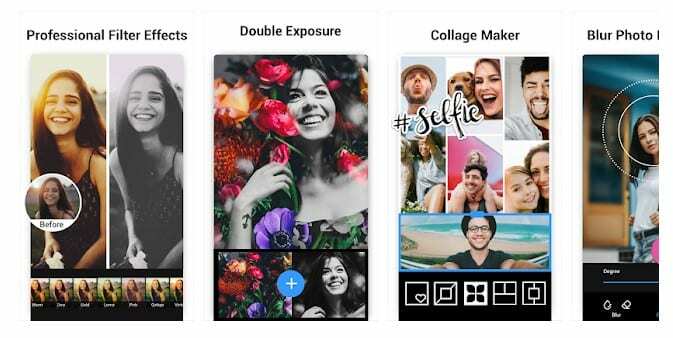 The app packs almost every feature that you need for photo editing. The features include layers, styles, film effects, filters, color balance tool, curves, etc. The app is also very easy to use, and it also offers a collage maker. 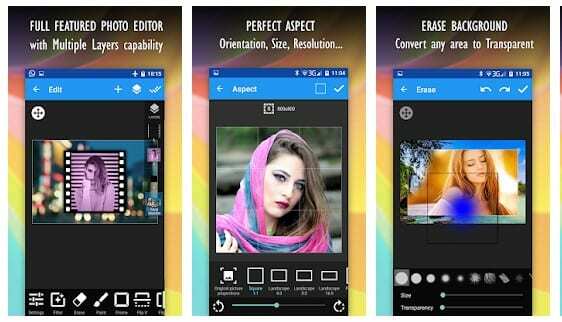 PhotoDirector from Cyberlink is one of the top-rated photo editing app available on the Google Play Store. 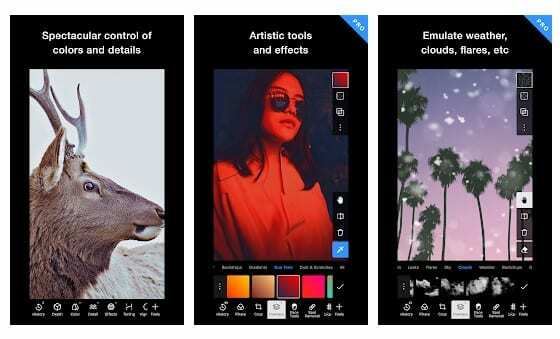 The app is free to download and use, and it offers tons of photo editing features. With PhotoDirector, you can apply special effects to the photos, adjust color balance, adjust saturation, apply filters, etc. The app also allows users to blend multiple images. So, PhotoDirector is one of the best free photoshop alternatives for Android that you can use. Polarr Photo Editor is another popular Android photoshop alternative that you can use today. The great thing about Polarr Photo Editor is that it offers layer editing features just like photoshop. Apart from that, the app houses almost every feature that you need for photo editing and the features are powerful enough to give your images a new touch. Not just that, but the app offers plenty of unique filters, textures, styles, etc. So, its one of the best and capable Adobe Photoshop alternative for Android that you can use. Photo Editor Pro deserves to be in the list with its unique offerings. 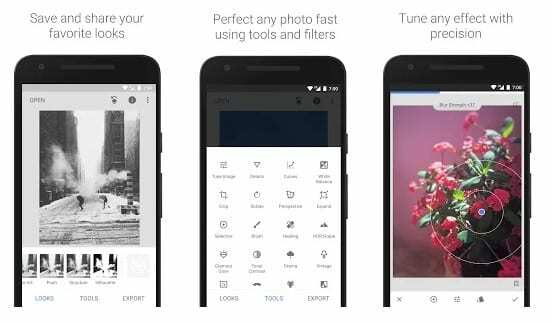 The adobe photoshop alternative for Android offers everything you want to edit pictures. From stylish effects to body retouch tools, the app has it all. The photo editing tools that Photo Editor Pro offer are powerful yet easy to use and you can access over 100+ filters. So, Photo Editor Pro is another best Android photoshop alternative 2019 that you can use. Well, Adobe Photoshop Mix is one of the best Photoshop alternatives for Android which you can use right now. In fact, Adobe Photoshop Mix is made by Adobe itself and you can expect lots of photoshop type features on Adobe Photoshop Mix. The great thing about Adobe Photoshop Mix is that it offers users layer based photo editing features just like Adobe Photoshop. On Adobe Photoshop Mix, you can cut and combine images, change colors, and enhance your photos easily. 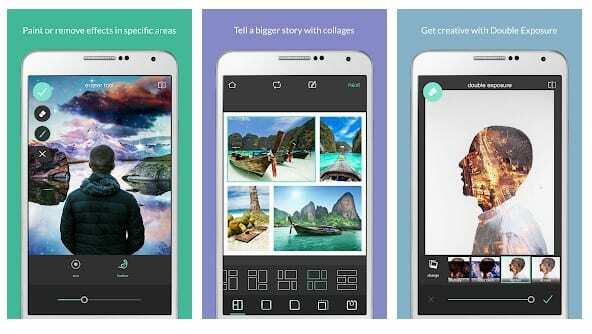 Canva is another great Adobe Photoshop alternatives for Android which you can consider. The best thing about Canva is that it offers users lots of image editing tools including multi-layer support. 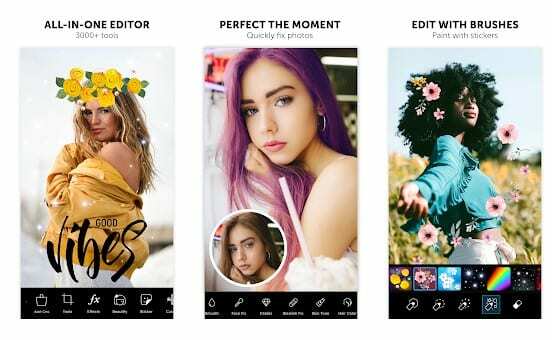 The app has almost every feature that you need to give your images a new touch Not just that, but the app also offers a Photo Collage maker, poster maker, banner maker, logo maker, etc. 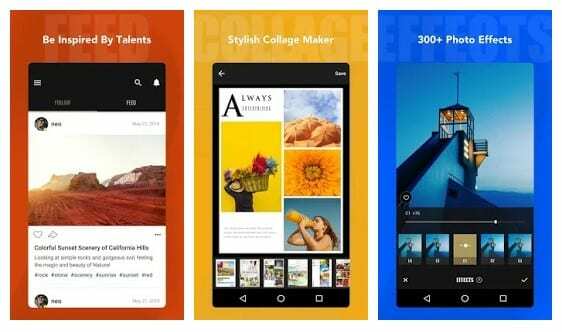 So, these are the ten best Adobe Photoshop alternative for Android 2019 which you can use today. These apps offer some unique photo editing features that will enhance your photo editing experience. If you feel that we have missed any important app, then make sure to drop the name in the comment box below.